Kenneth Graham – British writer. 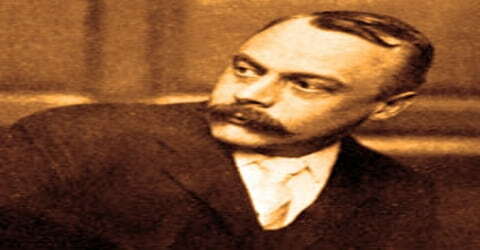 Kenneth Grahame was a Scottish author best known for writing the children’s book The Wind in the Willows, was born on 8 March 1859 in Edinburgh, Scotland. He also wrote The Reluctant Dragon. He was one of the classics of children’s literature. Both books were later adapted for stage and film, of which A. A. Milne’s Toad of Toad Hall was the first. The Disney films The Adventures of Ichabod and Mr. Toad and The Reluctant Dragon are other adaptations. 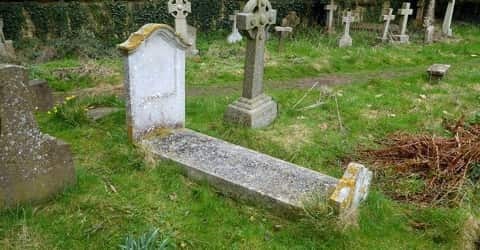 He worked at the Bank of England while writing in his spare time, authoring several books before achieving success with The Wind in the Willows in 1908. The book was inspired by bedtime stories that Grahame told to his son, Alastair. 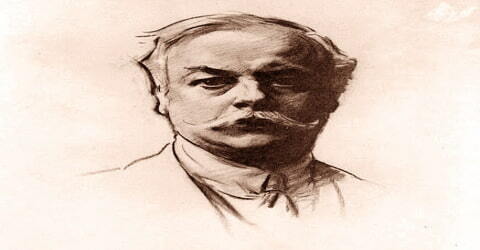 Kenneth Grahame was born on March 8, 1859, in Edinburgh, Scotland. When he was a little more than a year old, his father, an advocate, received an appointment as sheriff-substitute in Argyllshire at Inveraray on Loch Fyne. Kenneth loved the sea and was happy there, but when he was five, his mother died of puerperal fever, and his father, who had a drinking problem, gave over care of Kenneth, his brother Willie, his sister Helen and the new baby Roland to Granny Ingles, the children’s grandmother, in Cookham Dean in the village of Cookham in Berkshire. As a result, Grahame and his siblings moved in with their grandmother. His father fought to overcome his drinking problem and regain custody of his children. After he had a significant relapse, however, the children returned to their grandmother’s care while their father moved to France. The Grahame children were not in contact with their father after that time. Grahame attended St. Edward’s School, Oxford, at the age of 9. He did well at school, achieving awards in Latin, theology, and rugby. Despite his intellectual capabilities, Grahame lacked the money to study at Oxford. He took a job at the Bank of England, where he worked as a clerk. This position brought Grahame to London, where the bank was based. During his early years at St. Edwards, a sports regimen had not been established and the boys had the freedom to explore the old city with its quaint shops, historic buildings, and cobblestone streets, St Giles’ Fair, the upper reaches of the Thames, and the nearby countryside. 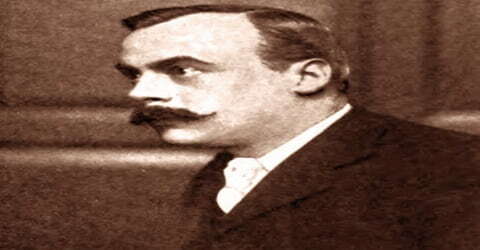 Kenneth Grahame married Elspeth Thomson in 1899; they had only one child, a boy named Alastair (whose nickname was “Mouse”) born blind in one eye and plagued by health problems throughout his short life. Alastair struggled in school and was ejected from several schools before enrolling at Christ Church, Oxford. In May of 1920, in his second year at Christ Church, Alastair took a walk to the railway running between Oxford and Wolvercote. He was found dead on the tracks the following morning. Although official records described the death as accidental, many signs pointed to suicide. Following the funeral, the devastated Grahames took a long vacation in Italy, away from their home and its memories of their son. Literary scholars and historians now consider that Grahame may have been a homosexual. According to Cardiff University Professor Emeritus Peter Hunt, Grahame shared a house in London with set designer Walford Graham Robertson, while Grahame’s wife and son lived in Berkshire. In 1879 Grahame obtained a position within the Bank of England as a gentleman clerk but he found the routine so dulling that, from his rooms on Bloomsbury Street, turned his pen to writing stories. His first published story was titled By A Northern Furrow (1888), and his most famous short story is, still, “The Reluctant Dragon” (1898). During his early years in London, Grahame became involved in local literary circles. He started out publishing essays in small publications. Meanwhile, he contributed articles to such journals as the St. James Gazette and the Yellow Book and published collections of sketches, stories, and essays Pagan Papers (1893), The Golden Age (1895), and Dream Days (1898) all of which reveal his sensitive understanding of childhood. 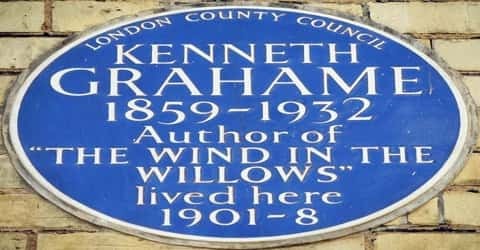 There is a ten-year gap between Grahame’s penultimate book and the publication of his triumph, The Wind in the Willows. During this decade, Grahame became a father. The wayward, headstrong nature he saw in his little son Alastair he transformed into the swaggering Mr. Toad, one of its four principal characters. The character in the book known as Ratty was inspired by his good friend, and writer, Sir Arthur Quiller-Couch. Grahame mentions this in a signed copy he gave to Quiller-Couch’s daughter, Foy Felicia. Despite its success, he never attempted a sequel. The book is still widely enjoyed by adults and children today, also in films, while Toad remains one of the most celebrated and beloved characters. Several of the essays he wrote was about a family of orphaned children called The Olympians. In 1895, 18 of these short stories were published in a collection called The Golden Age. A second collection, Dream Days, was published in 1898. Although little known today, The Golden Age and Dream Days were acclaimed at the time of their initial publication. Through his works, Grahame re-created the idyllic and fantastical times from his own childhood and hoped to entertain his son and other children with them for children are “the only really living people”. Grahame enjoyed moderate literary success in London, but he knew it was not the right place for him. After an armed robbery occurred at his bank, Grahame took early retirement and moved back to Berkshire with his wife and young child Alastair. The Wind in the Willows characters of Toad, Mole, Rat, and Badger had been born during nightly bedtime stories he had long told Alastair, but the story was heightened when he was re-inspired by the pastoral setting. Grahame finished the novel in 1908. While the critical reception was chilly, the book was a commercial success. A prominent fan of the book, United States President Theodore Roosevelt, requested to meet Grahame during a 1910 visit to Oxford. Grahame’s literary success came at an opportune moment. Having worked at the Bank of England for many years, he took early retirement in 1908 following a traumatic incident. In 1903, a man entered the bank offices with a pistol. After speaking to Grahame, the man drew his weapon and fired several shots. Grahame was unhurt but was troubled by the incident. Grahame wrote very little following his son Alastair’s death. In 1924, the Grahames moved to Pangbourne, near Oxford, where they lived out the remainder of their days. Alastair’s death hurt Grahame deeply, causing him to fall into depression. He stopped writing stories after that, producing only the occasional essay or book introduction. From that point onwards, he maintained a low-key life, moving in a small, rural village near Oxford. In 1929, A. A. Milne wrote the play Toad of Toad Hall, which is based on part of The Wind in the Willows. The Wind in the Willows won the Lewis Carroll Shelf Award in 1958. In the 1990s, William Horwood produced with a series of sequels. While still a young man in his 20s, Grahame began to publish light stories in London periodicals such as the St. James Gazette. Some of these stories were collected and published as Pagan Papers in 1893, and, two years later, The Golden Age. These were followed by Dream Days in 1898, which contains The Reluctant Dragon. The Wind in the Willows was dramatized by A.A. Milne as Toad of Toad Hall (1929) and became a frequently performed Christmas play.